Reading a good novel is always an eye-opening and boundary-expanding experience, and indeed, Shriver’s novel opened up an entire new world to me – the world of snooker. Maybe I’m not so up-to-date on my British billiard sports, but I had never heard of this pool-like competitive sport. Apparently it’s a pretty big deal over on the other side of the pond – not like football to us Americans, but maybe about wrestling level (gauging popular interest in sports is not exactly my cup of tea, so I’m just guessing here). In any case, I learned all I have ever wanted to know about the art of snooker – interesting at first, then a little too intense for my taste. Beyond snooker, though, the most intriguing feature of this novel is that it takes place simultaneously in two alternate, parallel universes. Irina, the protagonist of The Post-Birthday World, is involved in a long-term relationship with Lawrence, a political analyst. It’s when she meets and is eventually beguiled by a world-renowned snooker player, Ramsey Acton, that she is forced to make a life-altering decision. Her two destinies, if you will, hinge on a temptation to share a single kiss with the charming athlete. In one future, she kisses Ramsey. This path of her life takes her down the road of a passionate affair and the subsequent guilt, extreme relational highs and lows, and of course, endless snooker competitions. In a parallel future (detailed in alternating chapters with the other), Irina does not kiss Ramsey, and her life with Lawrence takes some interesting and unexpected twists and turns. I found this writing structure and plot idea fascinating – I genuinely looked forward to reading what happened to Irina in both of her futures (of course, whenever I got pulled into one, the chapter ended and I was switched back to the other – frustrating but a nice technique to keep me reading!). However, I think that Shriver could have added just a bit of warmth to her characters – she let us into their minds, but from a somewhat cold, clinical viewpoint; I understood what they were thinking, I got to participate in their worldviews and ruminations on the human condition, but I never really felt what they felt, and this is where I thought the novel was lacking. 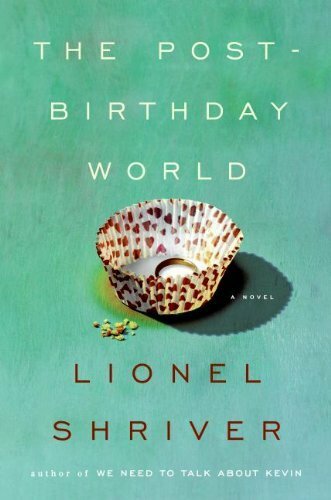 Great idea, enthralling plot structure, interesting characters, but The Post-Birthday World certainly could use more emotion in the middle of all that introspection.